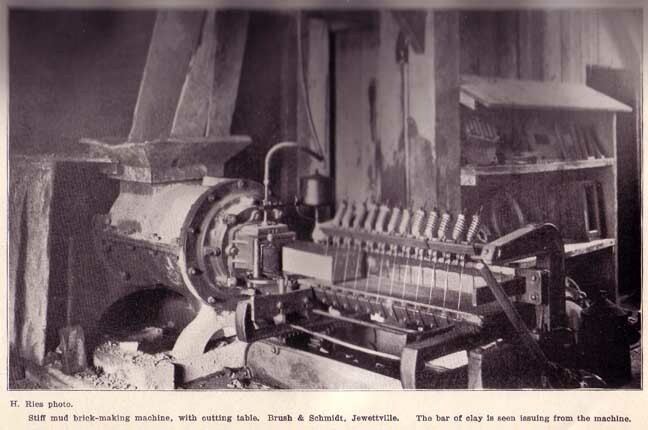 Stiff mud brick-making machine, with cutting table. Brush & Schmidt, Jewettville. The bar of clay is seen issuing from the machine. Plate 29, p. 662 H. Ries photo.